Little moments, yours to keep forever. 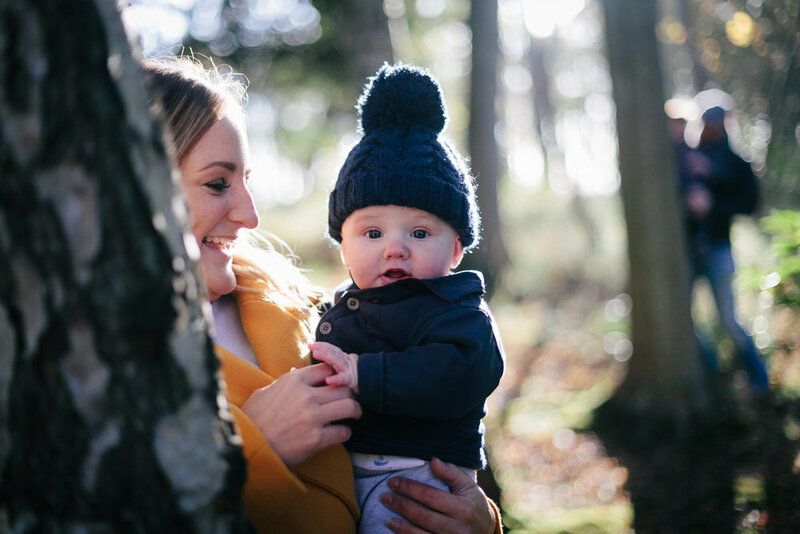 Hey there, I'm Andrea – a natural-light, family, children and baby photographer in Edinburgh. It's never a bad idea to have some gorgeous, posed portraits of your family – the ones that go on the mantle and get sent off to the grandparents. You'll get those from our photo session, but I'll also try to photograph a bit of the sticky, messy, everyday stuff, too. Building dens, games of tag, baking cookies, blowing bubbles, muddy puddles and jumping on beds. Because this is the stuff that matters, and these gorgeous little moments are so ridiculously fleeting. They're also the ones that bring me the most joy as a photographer and as a mother, and I'd love to be able to capture a few of them for you. It was peak autumn, in one of the prettiest places I’ve seen in this area, and the light was perfect. Three gorgeous children, two pretty gorgeous parents, and bulldog called Steve. Steve! I just loved every minute of this photo session and was equally psyched to discover Gosford Estate in Longniddry - what a place!